Wildfire is a real and constant threat in San Diego County year-round, but particularly in the late summer and fall months. This is especially true in wildland interface areas where homes are right next to the backcountry. 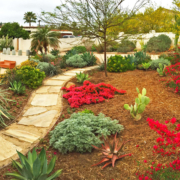 Landscape design, plant selection, and maintenance must be done in accordance with fire-safe guidelines. 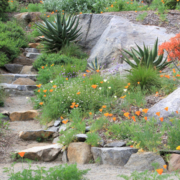 Zone 1: Through smart design elements and plant selection, landscapes should resist ignition and provide 35 feet of actively maintained defensible space around structures and access areas. This maximizes fire prevention and allows access by crews to protect your property from fire, if necessary. Zone 2: Your landscape should reduce the chances of airborne embers from catching fire through a careful thinning of native vegetation for at least 65 additional feet — a total of 100 feet of defensible space. Zone 3: Many of San Diego County’s native plant communities including chaparral can survive and recover from infrequent wildfires. Some plants use fire as a signal to begin growth and start the germination process after a fire. When fires occur too frequently, the ability to survive is disrupted for even the most well-adapted plants. Invasive, non-native plant species have made fires more frequent, of longer duration, and hotter. It is critical to remove invasive plants in fire-prone areas. 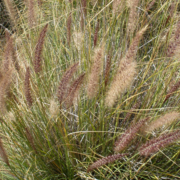 Some native plants have the ability to prevent airborne plant embers. 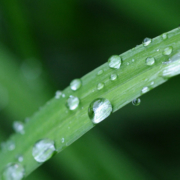 They have a high salt or water content and low volatile oil content in their leaves. 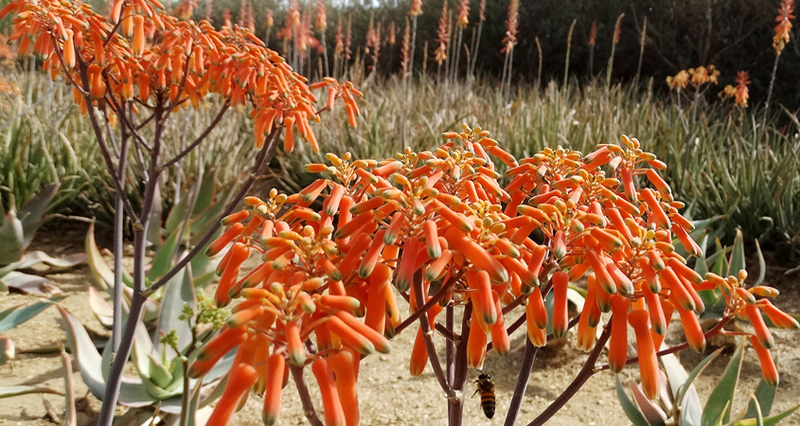 For instance, agaves, aloes, crassulas, and other succulents store extra water in their fleshy leaves. Messy, oily trees and shrubs, such as eucalyptus and junipers, do the opposite. They ignite quickly, burning hot and long, releasing embers into the air and contributing to the spread of wildfire. 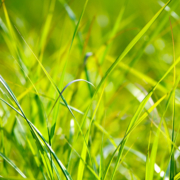 Preventative maintenance includes regularly removing dry grass, thatch, brush, weeds, litter, waste, and dead and dying vegetation. Trees should be properly pruned. Shrubs should be thinned, with dead branches and leaves routinely removed. 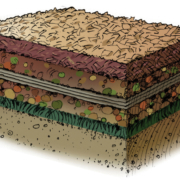 Leave root structures intact to avoid erosion. Dead leaves and branches are especially flammable on evergreen shrubs and vines such as bougainvillea. Avoid planting these close to homes or other structures.